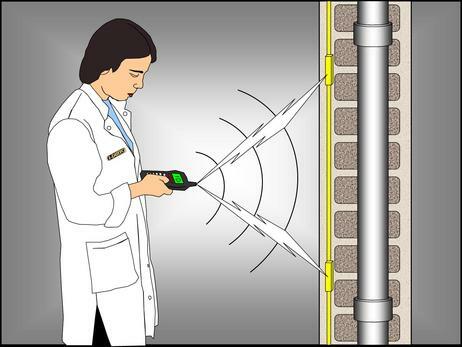 A wireless innovative system of accurate tracking and safe identification of underground, built-in or hidden, metallics and non metallics structures without the need of any invasive or destructive work. New low cost system, based on RFID technology, for real time tracking and identification of underground, built-in or hidden, metallics and non metallics structures, as pipes, conduits, cables and other objects, without the need of any invasive or destructive work and without the need of satellites signs and geographic coordinates. . Accurate tracking and safe identification of non-apparent pipelines and structures without the need of any invasive or destructive work.